Penny Wars was established by the Alumni Association during Red and White Week in 2015. Student organizations compete across campus to raise money by collecting pennies for points, and the organization that has the most pennies at the end of the competition wins. Each year, the funds raised from Penny Wars support a program on campus. This year, Penny Wars will be supporting the Student Emergency Fund. The Office of Annual Giving encourages all students to get involved! 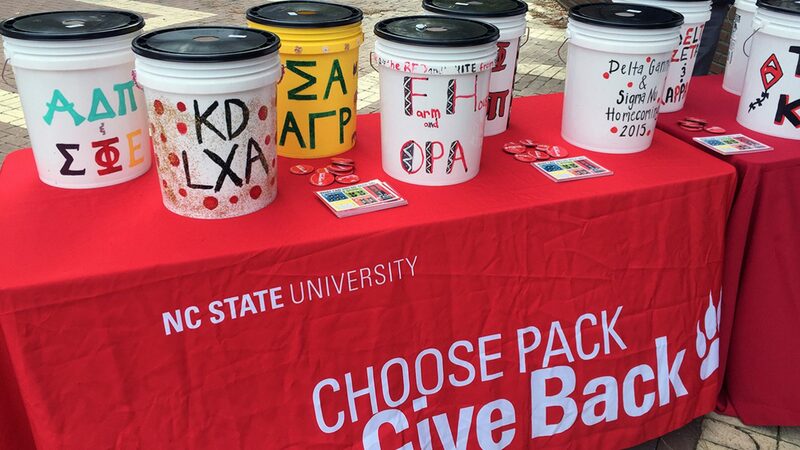 The Penny Wars competition will run Oct. 29-31 from 11 a.m. to 1 p.m in Wolf Plaza. In addition, Students for University Advancement will host a blood drive Oct. 29-30 from 10 a.m. to 4 p.m. in the Brickyard. For every blood donor, the Blood Connection will donate $10 to the Student Emergency Fund. With a fundraising goal of $4,000 between the two events, this is a great way to make a difference for fellow NC State students.